Large focal Ceramic heart. 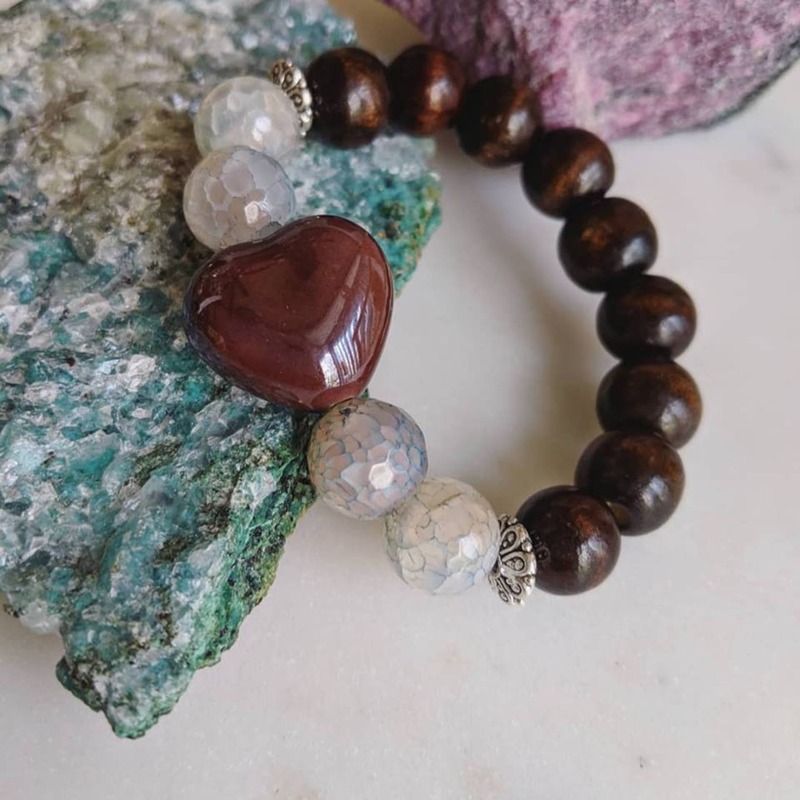 Zero calorie chocolate heart bracelet for Valentine's Day, or any day, as a reminder to love. 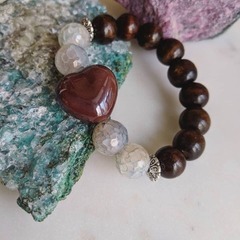 Also features 10-12 mm wood and agate beads.